Tired of downloading single worksheets and getting it printed? Time consuming, right? We have the solution right here for you. Get hard copies of the worksheets right at your doorstep! 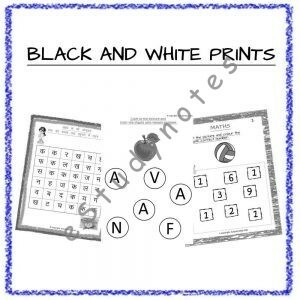 Give your child the best way to learn and practice with creative and engaging worksheets. Every child is unique, each with his or her own way of learning. Worksheets provide a more structured and systematic approach towards the learning process. The concept of play and learn has been around for quite some time, so what’s so great about our worksheets?? Our worksheets do not have more than 5 – 8 exercises on one page, so your child is able to practice the concept and also finish the task in no time. We believe in stepwise learning, so no jumping from one concept to another. We have a variety of worksheets covering each topic, so your child is able to fully grasp a single concept before moving on to the next one!! Don’t wait for Exams, ORDER NOW!